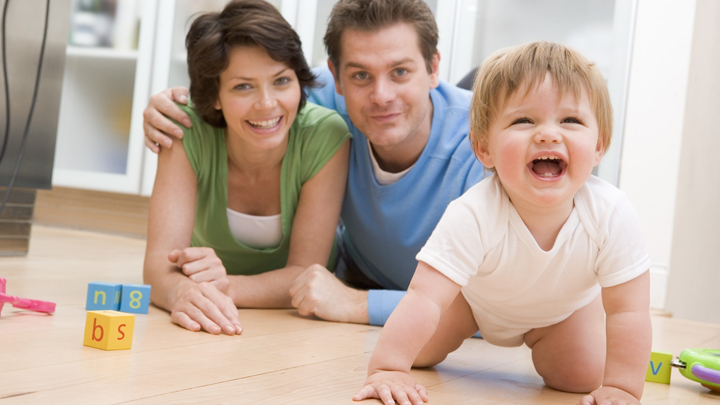 Parents are the ones responsible for the safe and healthy development of their children. That doesn’t only include physical care, but mental as well. The way parents behave towards their kids, together with their overall attitude, can truly make a difference for children at an early age. This is the time when kids learn by watching their parents and soak up everything their parents tell them or feel the parents feel. In that respect, it’s essential for all parents to know how to behave towards their children in early childhood in order to ensure their wellbeing. It’s important to spare your children the scene of you fighting with your partner and even your friends and own parents. Fighting really sends a negative message to young kids who can really take the whole ordeal the wrong way and transform it into something damaging in their mind. That said, make sure to take your fights where your child can’t see or hear you! Not only can this sight scare them, but it can also remain with them at the most important moments of their development. Every step of the way, children need to know what is happening. After all, kids are likely to ask for a “why” for everything they see and encounter. It’s your duty to try and explain everything they’re curious about as effectively as you can. But, it’s also paramount to pay attention to the moments when you need to proceed with an explanation on your own. Sometimes, kids get shy and withdrawn. You want to break this bad habit, especially when it seems that they’re comfortable with it. Don’t let them know you spotted something different about them. Simply explain your words, your actions, why it’s raining and how come that piece of rainbow ended up in a puddle. One of the essential parenting elements for nurturing a child’s self-esteem and self-confidence is to offer praise whenever possible. Of course, you don’t want to do this too often for absolutely everything because the kids will stop valuing it. But, when your kids actually do something better than they used to or do something well for the first time, feel free to praise them wholeheartedly and rather descriptively. This will mean a lot for a young and developing child’s psyche. In early childhood, parents should definitely encourage their kids when it comes to making friends and spending time with their peers. For some children, this may be a bit more challenging which is precisely why a structured and organized playgroup can be tremendously helpful and productive. Not only are playgroups ideal for getting the kids to socialize more, but they are also the perfect opportunity for kids to learn more about the world around them in a fun and interesting way. Obviously, there are age-appropriate chores as no 3-year-old should be allowed to go on their own to the store to buy more milk. However, it’s essential that you allow your kids to help you and ask them to do just that from time to time – whatever it is that they’re capable of doing. Not only will this let them learn more about daily tasks and responsibility, but it will also help them feel more confident. When you assign them certain responsibilities at early childhood, you’re showing them that you trust them, which means a lot for a developing child’s mind and sense of self-worth. Even though positive affirmations are extremely important in early childhood, it’s also essential to mention something when things are wrong. Refrain from anger, yelling or any obviously negative reaction! It’s not about reprimanding your kids but just about making them realize, in a calm manner, when it would be wise to change their ways/behavior.